Lower McLane LWM Installation Complete; Up Next: Planting! 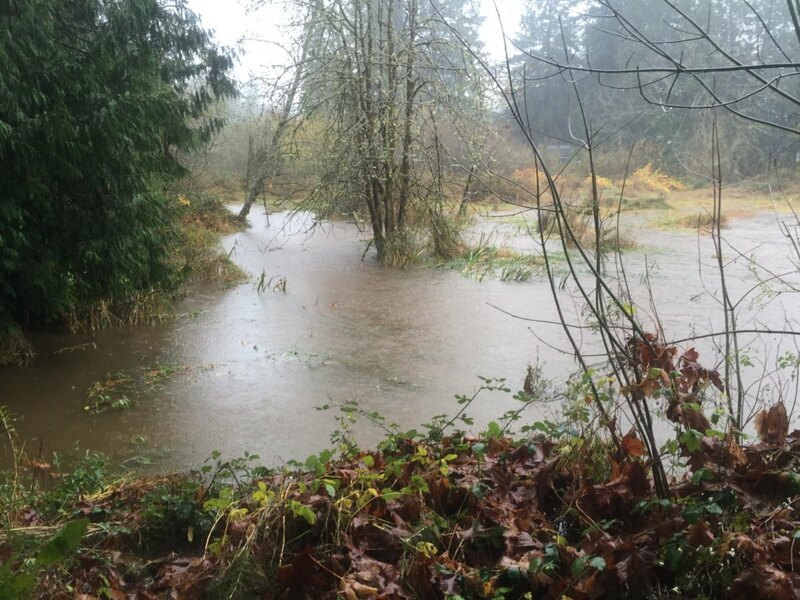 Vast areas of tidal wetland have faced extreme alteration in Puget Sound, especially at the head of estuaries. Intertidal forested marsh habitats have been impacted by historic logging practices, development and invasive plant species. These impacts disrupt food-web interactions, reduced stream shading and removed large wood from estuaries. McLane Creek supports a variety of wildlife and several salmon runs including cutthroat, steelhead, coho, fall Chinook, and chum. The drainage is made up of four major tributaries: Swift, Perkins, East Fork McLane and Beatty creeks which have approximately 18.5 miles of fish habitat. 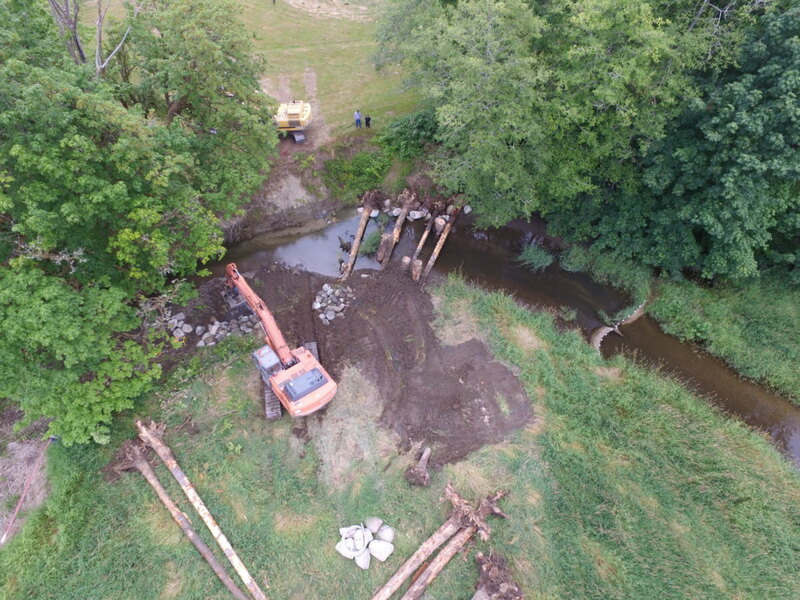 The project is focused on the lower half mile of the creek. 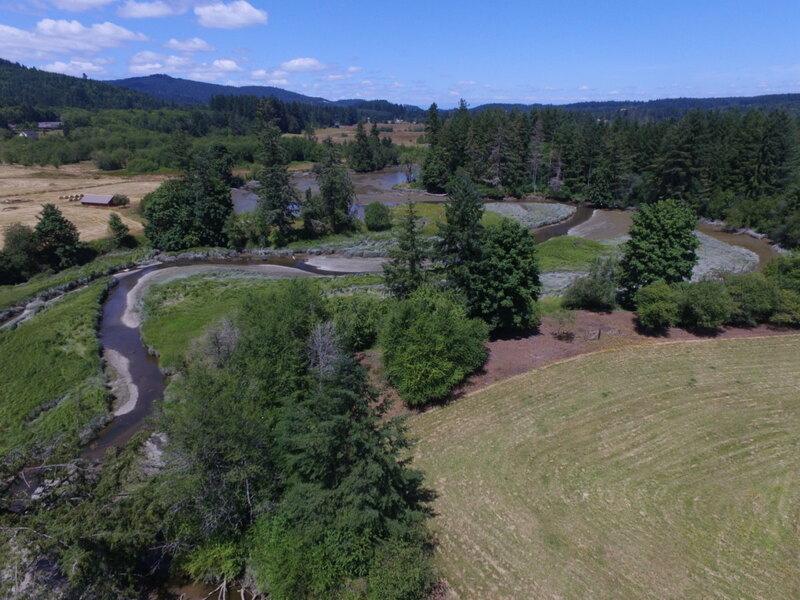 The Lower McLane Creek restoration project enhances habitat in the lower reach of the stream, providing foraging areas for juvenile fish that leave the basin and resting places for adult migrating into McLane Creek and its tributaries. Large wood structures have been placed in three locations in the lower portion of the system. The structures provide increased hydraulic complexity, potential for wood accumulation and pool formation. The structures also increase refuge for juvenile salmon to avoid predation. Although construction is complete, the project will continue though 2017 with subsequent phases and monitoring efforts. SPSSEG will host volunteer events this fall to install 1,211 riparian plants to increase stream-side shading, 8,400 willow stakes to treat reed canary grass in the floodplain and treat 900 square feet of knotweed. Plants are being purchased with a grant from Thurston Conservation District. 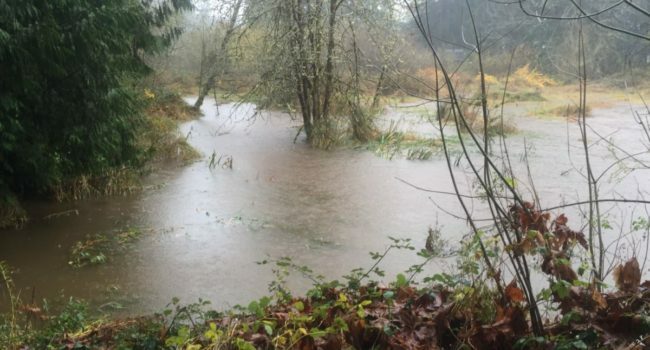 Olympia Trout Unlimited provided funding and are conducting site citizen science monitoring events. They are submitting a grant to continue monitoring efforts at the site. Their request would support a Benthic Indicator of Biotic Integrity (BIBI) survey at the site. The process involves getting in the stream, collecting bug samples, counting, and measuring the bug samples, recording findings, and then tracking findings. The goal is to engage local volunteers to get into the stream and collect samples over the course of a year. 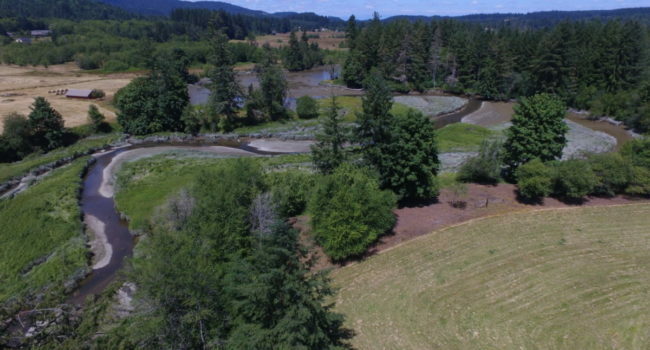 In addition to creating in-stream habitat, engaging volunteers in planting events and citizen science, this project involves four new landowners in salmon habitat restoration. 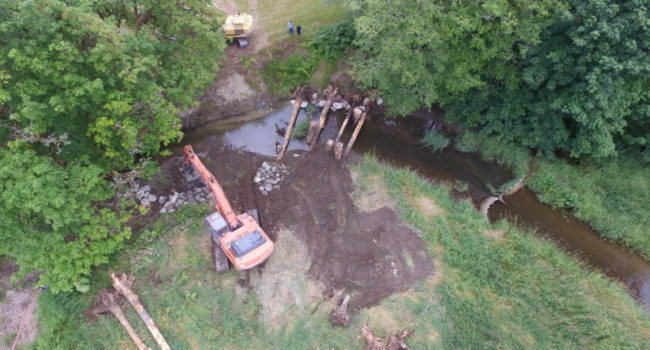 While no individual project will restore salmon populations to their historic numbers, each small project eases the impacts of human caused actions that brought us to this place.